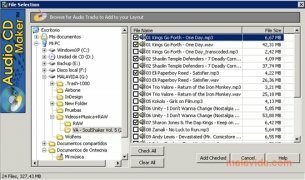 More or less everybody knows the MP3 format, and most people own a digital file player, but it is still necessary to burn these files on an Audio CD to be able to play them in the car or the hi-fi system. So nothing better than a specialized program like Audio CD Maker to obtain the best results imaginable. 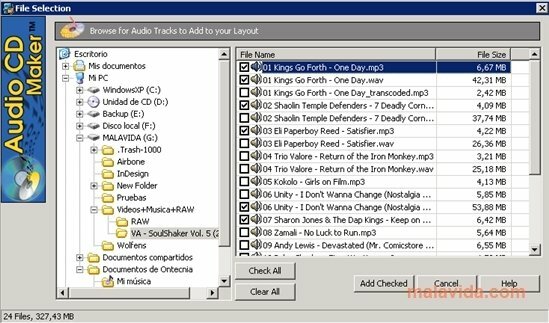 Audio CD Maker includes some applications that can be very useful like the deletion of rewritable disc tool or the obtain to obtain the information about the CD that we have in the drive at that moment. 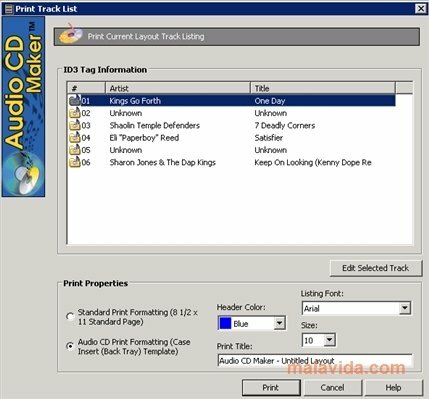 The programs interface is really simple, as soon as it is launched it checks if there is a blank CD in the recording drive ready to be burnt, and if everything is ready, the program starts allowing the user to create an Audio CD or an MP3 CD as soon as we want. Once the application is open, it is possible to easily add songs thanks to the menu that appears, that only shows the compatible songs. It only works on Windows XP. 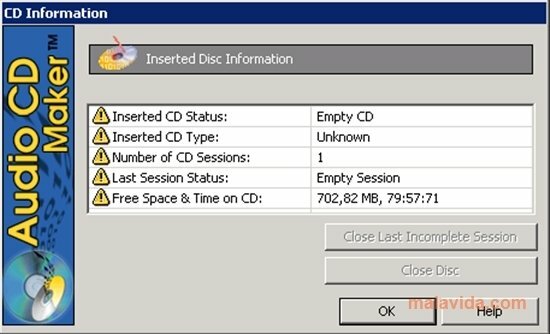 It is essential to have a CD recorder.